The problem with most bicycle storage systems is that they take up a lot of room when they aren’t holding a bike. Enter Clug, a very discreet and very tiny bracket designed by Hurdler Studios. 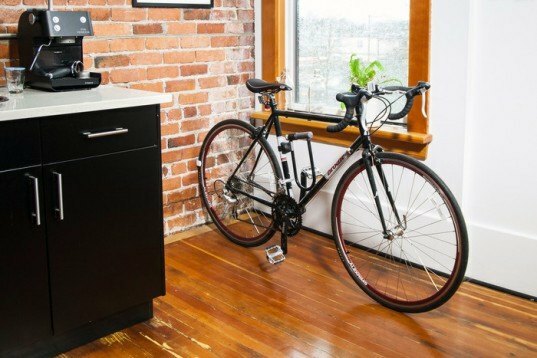 This 3D printed rack can hold your bike in place either on the ground or on the wall – and it practically disappears when not in use. It also makes it appear as if your bike is floating on the wall without any support, just to add to the fun of it. 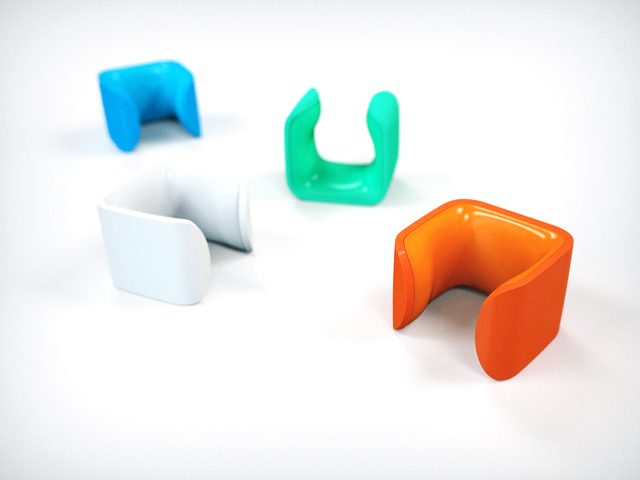 The Clug, named after the sound it makes, is a 3D-printed clip shaped so that bicycle tires can simply click into it. The rack is about the size of a kiwi, and it’s made up of two parts – the clipper and the gripper. The clipper screws into your wall or whatever surface you want to use, and the gripper is the rubber piece that safely holds your bike tire in place. The Clug’s simple mechanism and small size allows it to be installed virtually anywhere. The first iteration of the Clug is available for bicycle wheels that are between 23 and 28 mm. The designers are aiming to manufacture Clugs for a wider range of tire sizes once the project is fully funded. Clug is currently in the Kickstarter phase raising money to invest in injection molded tooling to produce Clugs efficiently at an affordable price. You can contribute here! The Clug, named after the sound it makes, is a 3D-printed tiny clip shaped so that bicycle tires can just click into it. About the size of a kiwi, it is made up of two parts - the clipper and the gripper. The clipper screws into your wall or whatever surface you want to use, and the push-fit gripper is the rubber piece that safely holds your bike tire in place. This very simple mechanism and its small size allows you to install the Clug anywhere, on the floor, the wall or even on a tree. The first iteration of Clug is available for bicycle wheels that are between 23 and 28 mm. The designers are aiming to manufacture Clugs for a wider range of tire sizes once fully funded. The product is currently in the Kickstarter phase raising money to invest in injection molded tooling to produce Clugs efficiently at an affordable price. You can contribute here.